Some DVDs has multiple episodes, especially the TV series DVD. 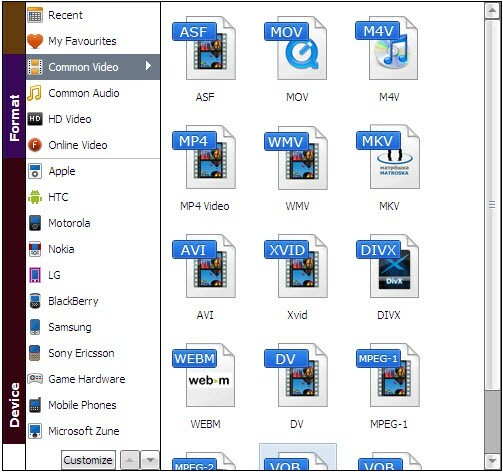 When you're ripping them to videos for playing on your portable media players like iPhone, iPad, iPod, PSP, Zune, Archos, etc., you may just want to get a single video file so that you don't need to rename every title and copy them to your device one by one? Then how to rip DVD to a single video file in VOB, AVI, WMV, MKV, MP4, MOV, etc. formats? Don't worry. After reading this article, you'll know how to convert multiple DVDs into one single file movie in almost any regular video formats. To convert DVD to video, you need the help of a DVD ripping program. Here Aimersoft software DVD ripper is highly recommended for you to convert your DVD titles to a single video file. If you're using a Mac, simply turn to Aimersoft Mac DVD ripping software, which allows you to rip DVD titles to a single file on Mac OS X (including Lion and Mountain Lion). Now just download this program and follow the steps below to convert your DVD titles. Note that the guide below uses Aimersoft DVD Ripper for Windows (Including Windows 8) screenshots. If you're using a Mac, please download the Mac version and turn to DVD Ripper for Mac User Guide to learn how to rip DVD on your Mac in detail. After downloading, install and run the DVD Ripper. Then click "Load DVD" to import the DVD movies you want to rip. You can add files from DVD disc, DVD folder, ISO image file or IFO file. When the DVD files are loaded, select the titles you'd like to convert and click "Merge into One File" at the bottom to join all the titles into one file for conversion. You can either select a video/audio format as the output format or choose a device as the output format to get videos with optimized settings to fit your player. As you can see, almost all regular video/audio formats like MP4, MOV, MKV, FLV, AVI, WMV, etc. are supported. And video presets for Apple iPhone, iPad, iPod, HTC smartphones, HTC tablets, Motorola, Nokia, Samsung, PSP, Xbox 360, etc. are provided for your choice. Finally, click the "Start" button on the main interface to start ripping your DVD movies to a single video file in the format you've selected. After that conversion, click "Find Target" to located the ripped videos directly and just enjoy them.